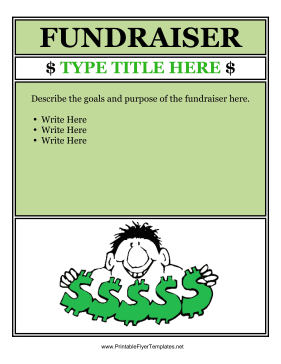 A green fundraiser flyer is the perfect way to get started with your fundraising project. Sending out this flyer to potential donors and posting it where people will be sure to see it will start the donations flowing in. This particular flyer features a man with dollar signs and bold print to grab attention.